Strange days, when I’m looking forward to a Battlefield game’s singleplayer campaign more than its multiplayer. Battlefield 3‘s campaign was mediocre. Battlefield 4‘s was somehow even worse, full of tough-guy posturing and the worst excesses of the “Modern Military Shooter” era. Then Battlefield 1 won our Game of the Year prize. And sure, the multiplayer side of DICE’s World War I shooter was impressive, albeit much more explosive than the grim trenches of Verdun. The singleplayer “War Stories” were the highlight for me though, a series of vignettes covering different theaters of the war, different tones, different military roles. 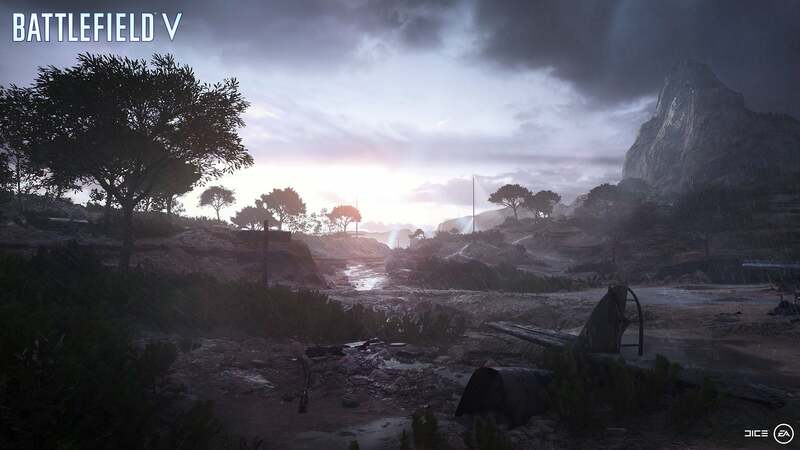 Lawrence of Arabia, zeppelins and biplanes, tank crews and trench warfare–Battlefield 1 captured a very large war by focusing on the very small, the ultra-personal, and was a better game because of that approach. So then, the question: Can Battlefield V (£60 preorder on Amazon) do the same with World War II? I headed down to EA’s Redwood City office last week to find out. 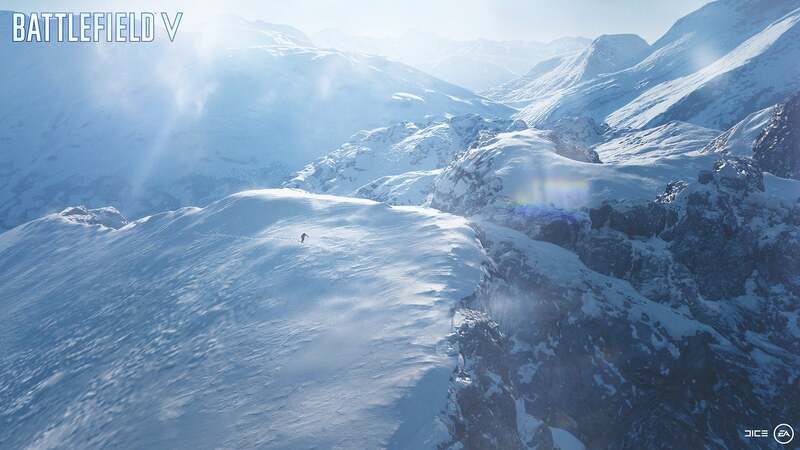 We were given two to three hours to play through a subsection of Battlefield V‘s War Stories, although only one of the mini-campaigns to completion. DICE revealed all four War Stories on Tuesday with a new trailer. If you missed it, the campaigns are titled Nordlys, Under No Flag, Tirailleur, and The Last Tiger. There’s also a flashy prologue called “My Country Calling” that lasts 10 or 15 minutes. We played through said prologue, plus all the way through Nordlys. Then we had the chance to play through the first chapter in Under No Flag and Tirailleur. All we got was a trailer for The Last Tiger–which isn’t too surprising, as it’s not going to be present at launch. Instead, The Last Tiger will be added to the game in December. I’m not sure whether that might mean further singleplayer DLC down the road or if DICE just needed more time to finish The Last Tiger, though I’m hoping it’s the former. I was disappointed Battlefield 1 never got any singleplayer DLC, since War Stories is built in such a way it could easily accommodate additional self-contained arcs. I’m hoping Battlefield V takes more advantage of that fact. But the point is we didn’t touch The Last Tiger, and that’s a bit of a shame because it’s the most daring of Battlefield V‘s War Stories. Set towards the tail end of the war, you play as a Tiger tank commander–which means, for those who aren’t tank buffs, you’re playing as a Nazi. That’s a pretty sensitive subject, and I’m curious to see whether DICE can pull it off. It’s damn risky. If it works, it’ll be because War Stories is very much focused on people. As DICE’s Eric Holmes said, “This is not about killing Hitler…These are stories about people on the most important day of their life.” With that in mind…well, a campaign that has you play as a Nazi is still damn risky. But from a Traditional Big-Budget Shooter Campaign standpoint, so are the rest of Battlefield V‘s stories. Take Nordlys, for example. It’s the first campaign after the prologue, and you play as a teenage girl, Solveig, in Nazi-occupied Norway. Your mother Astrid’s been captured by the local German garrison, and you start the story on skis, high up in the mountains, northern lights casting a greenish pallor across fresh powdery snow. You could storm the encampment head on, but it feels out of character here. You’re not invincible, not even really a Rambo-type action star. More practical to sneak up behind the patrolling Nazis and kill them silently–or better yet, just sneak past without incident. There are huge events at play here. You’ll soon discover the Nazis are using this placid Norwegian location to refine heavy water, one of the key elements in manufacturing atomic bombs. It falls to you to cut off distribution and sabotage the German’s plans. You’re not a part of any army though, not even a member of some organized resistance faction. It’s your relationship with your mother that propels you into action, and your relationship with your mother that caps off the story as well. Sure, your actions in Nordlys save countless lives and are a turning point in history–but you only see one small part of that story, one person on one day with one self-contained goal. Last year’s Call of Duty: WWII tried so hard to do the old Saving Private Ryan and Band of Brothers story again. Land on Omaha Beach, fight through France and on into Germany. Win the war. But Call of Duty told a story about the fighting in Normandy. Saving Private Ryan and Band of Brothers told stories about the people who fought in Normandy. 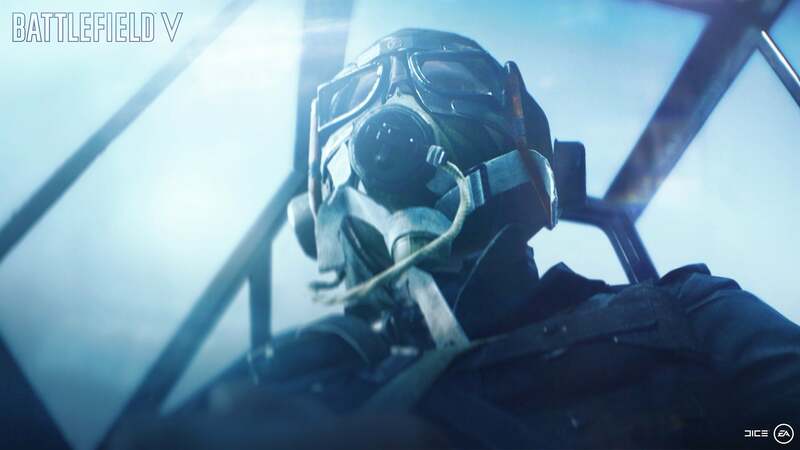 Battlefield V ends up feeling like those genre touchstones more than Call of Duty ever did. It has no Carentan or Bastogne, but it has people. And not just the typical American GI, smoking a cigarette and brandishing an M1 Garand. In fact, Battlefield V has no America-centric campaign at all–another risky move. Maybe that’s more interesting though. Much as I’d love to see Frostbite’s take on Omaha Beach, our expectations leave much less room for a creative story there. D-Day’s been built up to the stuff of myth by now. But a Norwegian teenager? That gives DICE a lot of flexibility. The same is true of the other two campaigns we tried out. Under No Flag follows a convicted criminal, enlisted in Britain’s SBS or Secret Boat Service, the Royal Navy’s branch of the special forces. Your character, William “Billy” Bridger, takes the position to get out of doing jail time for armed robbery, a very Suicide Squad sort of set-up. “Those who would succeed under this model were not the type who flourished in the conventional military,” says the opening scrawl. “Among them were troublemakers, cutthroats, and buccaneers. They were not the type who volunteered for military service.” And like the brash pilot in Battlefield 1‘s Friends in High Places campaign, Under No Flag seems to be the most over-the-top action. It’s more like a traditional FPS, really. You’re a one-man army, taking on a German base and trying to blow up some fighter planes before they can cause more damage–except you screw the whole plan up, your bomb falling harmlessly off the plane’s wing before it can explode. It’s an interesting subversion. Entertainment typically depicts special forces units as infallible, more machine than man. Here you’re just a dumb kid though, a street ruffian given a gun and pointed in the direction of a Nazi base. Then the tone changes again, as Tirailleur is about the North African forces who fought for colonizing power France. This is Battlefield ‘s Omaha Beach, even if it’s not Omaha Beach. It’s Operation Dragoon, an aquatic invasion of southern France that took place in August of 1944 and which featured contributions by French Army B, mostly made up of North African soldiers. Operation Dragoon receives less attention than Operation Overlord though, and the contributions of the French Army B even less attention. There’s no Saving Private Ryan adaptation here. 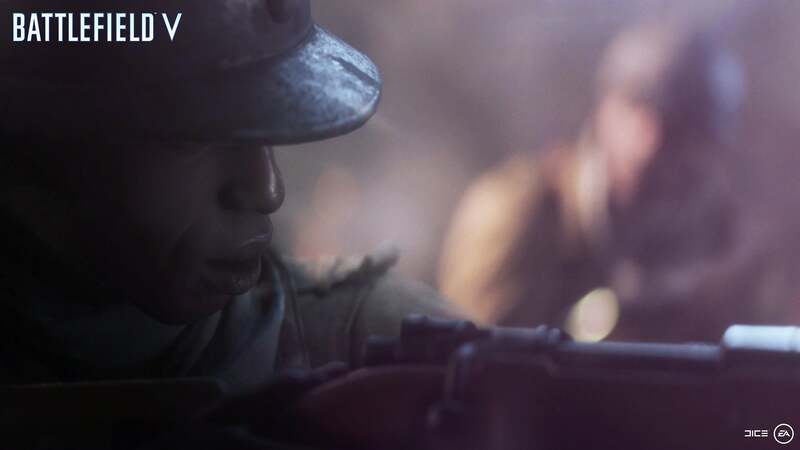 Battlefield V takes on this oft-ignored story, much as Battlefield 1 focused on the Harlem Hellfighters in World War I. The result is probably the most emotionally laden of the three campaigns we played, at least at the outset. We see the French soldiers sneering at their North African counterparts, stealing their weapons and equipment, and using them primarily as labor. Again, it’s a very different side of World War II than we’re accustomed to seeing depicted. That’s what interests me about the whole endeavor. I’ll admit, I’m a sucker for a good Omaha Beach landing, and I wrote as much in my Call of Duty: WWII review last year. I didn’t think it was a fantastic campaign, nor very memorable, but as someone who’s played video games for decades now it’s incredible to see those events depicted with modern technology versus my memories of Medal of Honor: Allied Assault or whatever. But as I said about Call of Duty: WWII, “[It] has nothing to add to our understanding of World War II, nothing to say that hasn’t been said by dozens of its predecessors. It doesn’t even feel like it’s trying to say something more interesting. It’s content to be a sort-of ‘World War II Video Game Greatest Hits Collection. '” Battlefield V is the opposite. DICE is consciously trying to tell stories you’ve never heard before, in locales we’ve rarely visited and with events so inconsequential they probably wouldn’t make most history books. It’s an odd setup, essentially the inverse of conventional wisdom about shooter campaigns. And yet that’s exactly what makes it compelling. Obviously we didn’t finish two of the three War Stories that DICE has ready for next month, and The Last Tiger remains just a trailer at the moment. There were bugs, there were missing cutscenes, all sorts of pre-release issues that I hope are rectified in time for public consumption. What little we saw feels bold though. Battlefield V‘s stories may never hold the same cultural sway as D-Day or these other, almost-mythological happenings from World War II, but maybe they should. 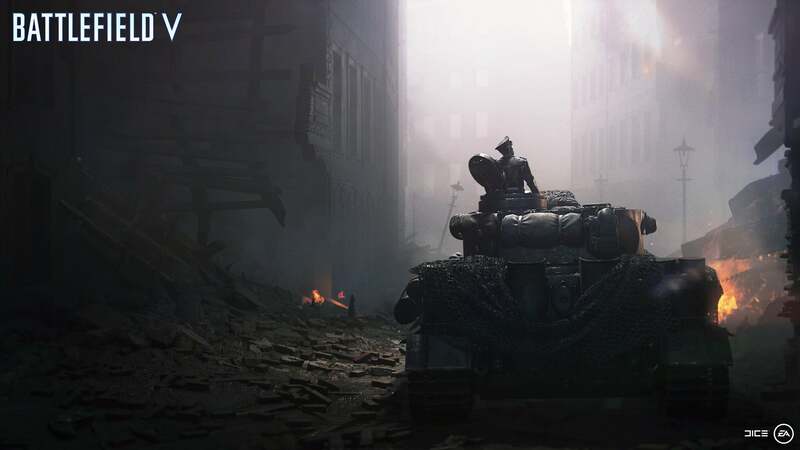 At the very least though, DICE has already proven there are a lot more stories to tell about this well-trod conflict, and that not every World War II game has to be another slog through Normandy’s hedgerows. We’ll see how the entire experience holds up when Battlefield V (£60 preorder on Amazon) releases on November 20.